I want to buy one new fightstick for mortal combat 11,teken 7 ,, injustice 2 and etc which to buy? for pc? also i have pc and not ps4. what is your opinion for Obsidian and Panthera sticks? Qanba Dragon and Victrix Pro FS? Luxury collectible premium joystick. Officially licensed Sony product and is compatible with the PlayStation 4, PlayStation 3, and PC via wired USB cable. Also the Panthera needs a driver download for Xinput compatibility which you need for most modern fighters on PC. Having to rely on a driver download isn’t a very safe bet. quaba Obsidian do you believe that is one from the best fighting sticks? also because i am from greece from where i can buy from europe? i mean because i dont want to pay extra taxes and charges? are there european shops for to buy quaba Obsidian? also do you believe that quaba Obsidian is very good fighting stick? what rate score from 0 to 10 you would put for the quaba Obsidian as fighting stick? do you believe that is very good for teken 7. , sf5 and mortal combat 11 my friend? I don’t know honestly. I am in the US. All I know the European market isn’t very good for arcade sticks. From the choices you gave yes, overall No. But that is my opinion. I think it is better than just using a Keyboard. Some people do better with Arcade sticks, some do better with game pads. for you which are the best top 5 fighting sticks? which are compatible with pc? my friend? which fighting sticks? are you suggested me to look and to buy? for teken 7, mortal combat 11 and etc? in the budget of 200 - 300 euros max? I PERSONALLY recommend the Hori Rap N, with a 2lb spring and a kowal actuator mod. Its a great price, the Hyabusa buttons are very high quality, and the Namco button layout is great. The Qanba Obsidian is also regarded quite highly by many and offers very similar features. 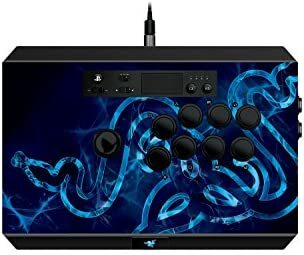 The Razer sticks I have no experience with but I know a few in my area that have had them break in one way or another, and that is my experience of other razer products. Qanba Obsidian IS VERY GOOD STICK? WHY MOST PEOPLE PREFER THE Qanba Obsidian?? CAN YOU TELL ME THE REASONS PLEASE? I’m not saying that most people prefer the Qanba Obsidian, over other sticks, but rather that people believe it’s an excellent stick. There’s plenty of good sticks in your price range, but at the end of the day its your choice to make, you need to look at what suits you. Is this just for home? Do you want to go to tournaments? Do you want to carry the stick around? Am I using the stick on a table or my legs? i am using the stick on the table. also from these 2 which is better Qanba Obsidian or Qanba dragon? these 2 sticks are very good quality in buttons and ergonomic design? these 2 sticks will,. be good for teken 7, mortal combat 11 , and more fighting games? Both Qanbas are about the same. Get what ever one fits your needs, price point and personal taste. Qanba Obsidian or Qanba dragon? 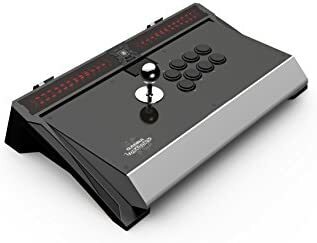 i mean these 2 Qanba Obsidian and Qanba dragon are very good sticks for fighting games? The dragon is generally considered a heavy stick, and not great for tournament use. Please stop messaging me, thank you. the Qanba Obsidian can you recomended it for tournaments? is it great for tournaments? I agree with this recommendation. Hori Rap N has the best layout (noir style) and the 2lb spring with the Hayabusa makes it feel great. Much better for Tekken than a standard JLF with 1lb spring. I don’t have any experience with the kowal actuator mod…but I prefer the longer throw. The Hayabusa has slightly longer throw than JLF.